This year, as every year, Youth Center of Epirus promoted the Let's Do It! movement in Epirus region. 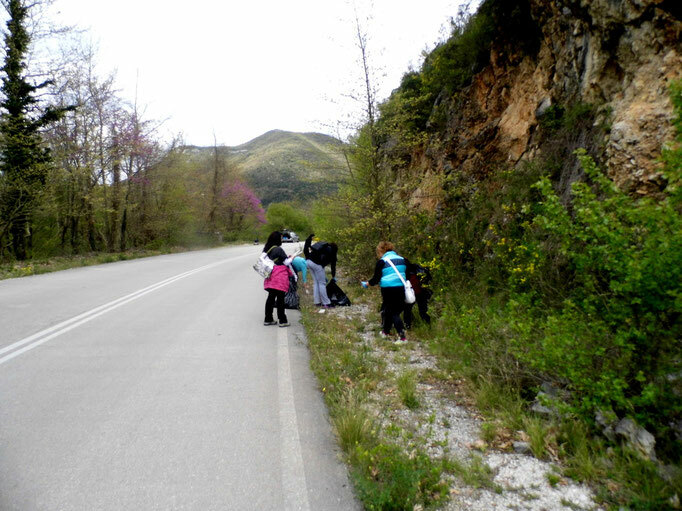 on April 2nd YCE organized a clean-up action in "Theatraki" area of Ioannina. Many volunteers and school children joined us! As usual, Youth Center of Epirus also hosted a small after party of Let's Do It clean-up in Ioannina. 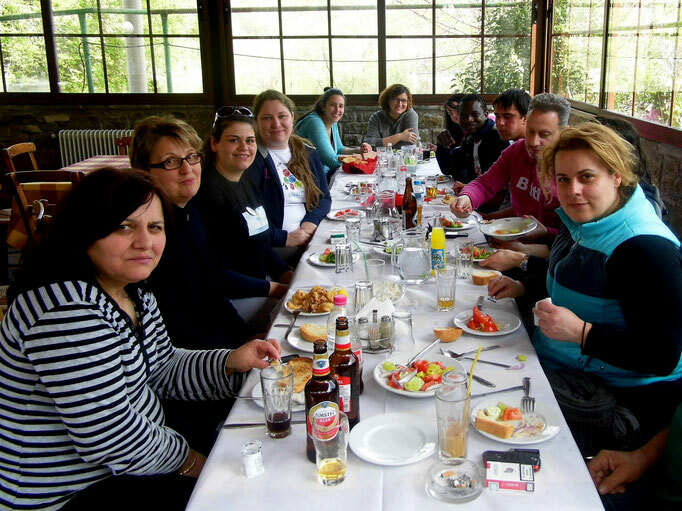 All organisations, clubs, schools and individuals that participated in clean-ups near ioannina were invited to get together, meet each other and share some goods prepared by sponsors of the party and YCE. Click here to see the photos of the day! This year we hosted the biggest clean up action and after party so far! Many people joined YCE clean-up at "theatraki" area of Ioannina and so many more clubs, schools, organisations did clean ups all over Greece and Ioannina. It has become a tradition for Youth Center of Epirus to host a small after party of the clean up where many volunteers meet each other and share some goods prepared to them by sponsors and YCE. Also you can become a volunteer for Let's Do IT clean ups! click here to See the photos of the day! Youth Center of Epirus coordinated and assisted organisations, municipalities, schools, clubs, etc of Epirus and took part in the clean-up of Ioannina town center. Here you can check out some photos. Youth Center of Epirus is getting ready for LDI too, join us and take your friends with you! Few days ago the first Greek national meeting for LETS DO IT! took place in Athens and the activity date for year of 2015 was announced! Therefore also Youth Center of Epirus has just started planning activities of LET'S DO IT! for the next year. On 26th of April 2015 we are going to clean all Epirus! 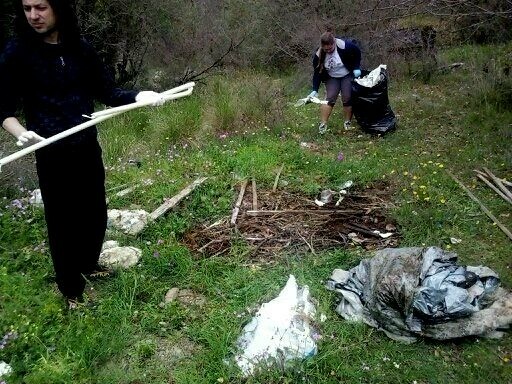 There were so many clean ups all around Greece on 6th of April by volunteers of Let's Do It Greece. Youth Center of Epirus coordinated and popularized clean up actions in Epirus and we are so glad to see that there were many really great clean ups in Epirus region. 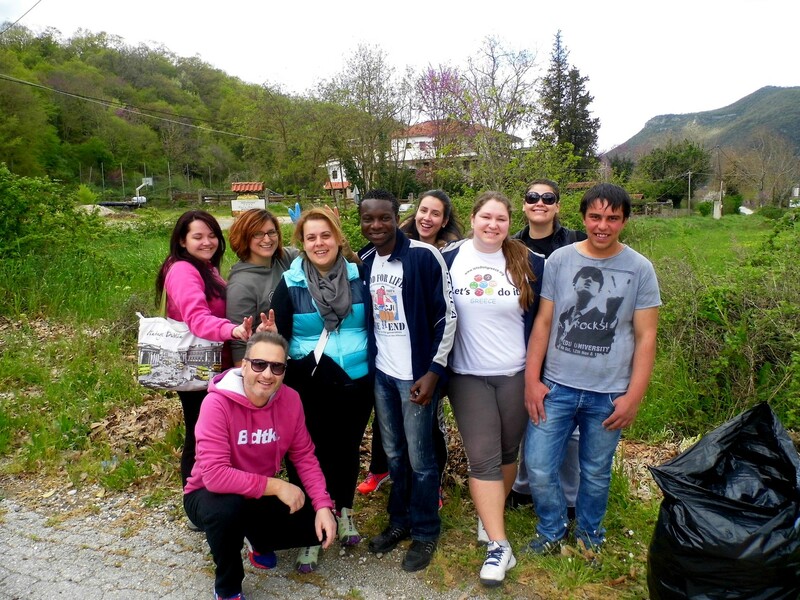 Volunteers of Youth Center of Epirus took part in a clean up event near Konitsa, together with some really active locals. It was a great day, full of positive emotions and fun! Here you can check out photos taken during the clean up near Konitsa and much, much more photos from all Epirus region are coming soon!!! A big thanks to all volunteers taking part in clean ups in Konitsa, Epirus region and in all Greece! Only 2 days left for LET'S DO IT in GREECE! Regional coordinator of Epirus region in Greece - Youth Center of Epirus (web: http://www.youthcenterofepirus.org e-mail: youthcenterofepirus@yahoo.gr). Meeting with the media in Ioannina! Only 3 days left for Let's Do It! on 6th of April! 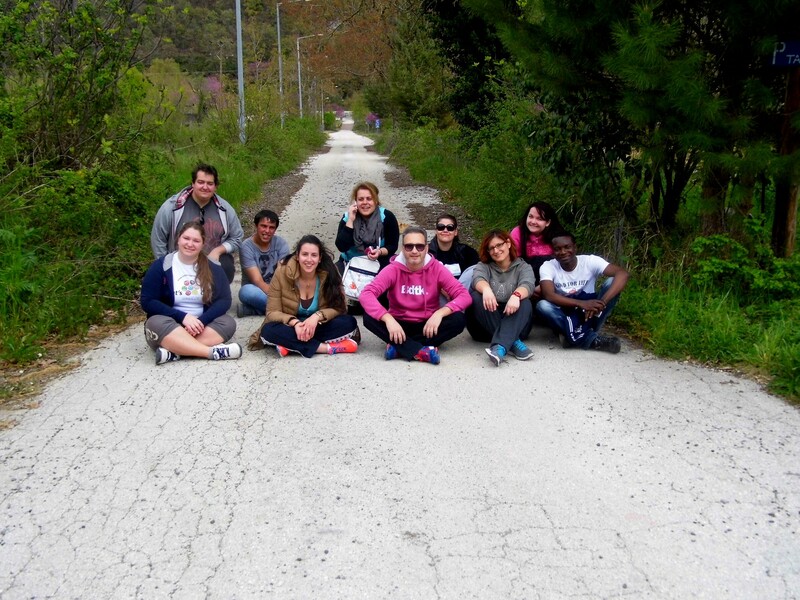 Youth Center of Epirus together with some other organizations involved in Let's Do It! met with the local and regional media on 3rd of April in Ioannina. 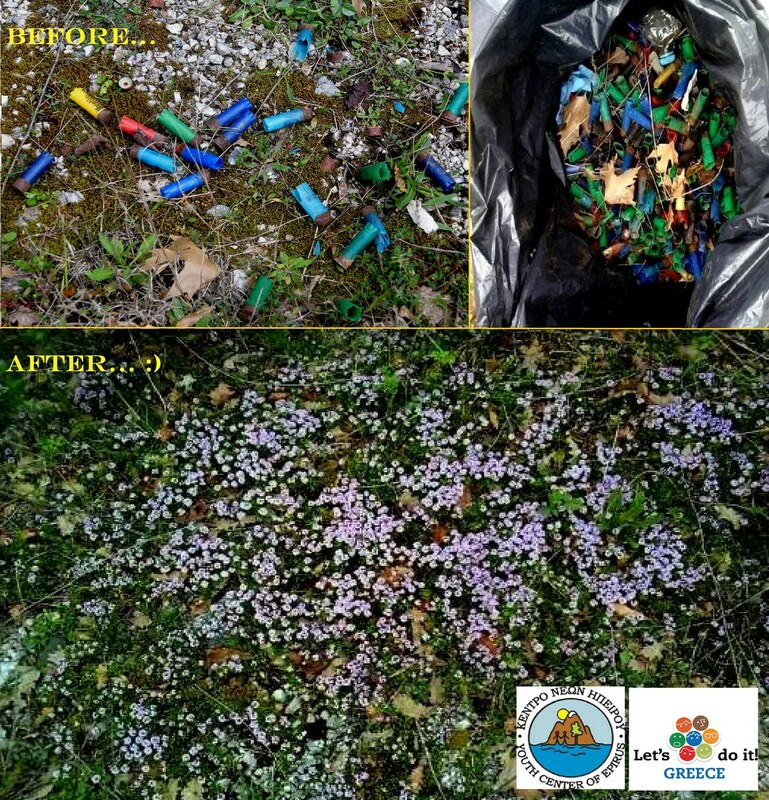 Only 3 days are left until the clean up actions on 6th of April and Tomas Tsikos from Youth Center of Epirus reminded where the planned cleanups in Ioannina and Epirus will take part. Read more here! The biggest graffiti of Let's Do It! in the World - in Souli, Paramithia of Epirus region of Greece!!! Students of High School of Paramithia are getting ready for Let's Do It! action very seriousely and positive - 100 students have created the biggest graffiti of Let's Do It! in the World on a wall of their shool!!! The graffiti is about 100 square meters big and we all can be proud of all 100 students who made it possible! On 7th of March, Souli municipality organized the first preparatory meeting for Let's Do It in Epirus, also members of Let's Do It Greece and Youth Center of Epirus took part in it. Later on Youth Center of Epirus organized the second and third big preparatory meetings for Epirus, in Ioannina in 8th and in 30th of March. In the meetings were discussed all basic preparatory details, given support and motivation to all involved organizations, clubs, municipalities and individual volunteers as well. This year we expect big involvement of people of Epirus in action of Let's Do It in Epirus. There are many municipalities, organizations and clubs involved this year - municipalities of Ioannina, Arta, Preveza, Souli..
Let's Do It Mediterranean! first meeting of coordinators in Egypt, Alexandria. 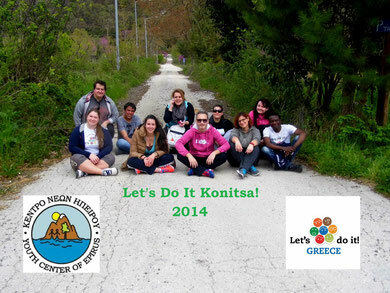 In the middle of October of 2013, Youth Center of Epirus joined Let’s Do It! movement. Two members of Youth Center of Epirus team joined a training for trainers of LDI Management of Country Level Mass Participation in Clean-up Events in Alexandria, Egypt in October of 2013 which was possible thanks to Anna Lindh Foundation. Our participants were informed detailed about LDI movement and got trained about planning of LDI events – about LDI overview and experiences, LDI methodologies, LDI existing tools, clean- up waste logistics, coordination of volunteers, international and national support and sponsors of LDI, reporting and media and utilizing LDI online. The training was based on LDI experiences and information, targeting on preparation for Let’s Do It Mediterranean (LDIM) clean up in 2014. The idea of Let's Do It Mediterranean! is to coordinate cleanup actions around the Mediterranean sea in 10th- 11th of May of 2014, involving around 1 million volunteers from more than 20 Mediterranean countries. Actions taking place in Greece willbe organized by Let's Do It Greece and Youth Center of Epirus with involvement of many other organizations, clubs and municipalities. Check out the official web site of Let's Do It Mediterranean: http://ldim.net/en/, read about meeting in Alexandria in the official web page of LDIM - http://ldim.net/2013/ldim-in-alexandria/ and here you can check out many photos taken during the first meeting of LDIM coordinators. One of the fastest-expanding movememnts in the World - Let's Do It! This movement was born in 2008 in Estonia, when 50.000 people came together to clean their country during one day. They managed to collect 10.000 tonns of illegal garbage and that inspired the people from many different countries to do the same. By today, more than 100 different cleanup actions,involving more than 9 million volunteers, have already taken place in different countries. Official web site of Let's Do It World is http://www.letsdoitworld.org/. Greece joined the movement of Let's Do It in 2012 with involving around 20.000 volunteers in clean up actions all around Greece. Already in 2013 the number of volunteers increased up to 35.000 and in the year of 2014 Greece plans to involve at least 50.000 volunteers. Official web site of Let's Do It Greece is http://www.letsdoitgreece.org/. Since the autumn of 2013, also Epirus region of Greece has it's regional coordinating organization - Youth Center of Epirus! Right now Youth Center of Epirus is working on preparation for national clean up action of 6th of April of 2014. We plan to involve many new organizations, municipalities and volunteers in Epirus region. All news of Let's Do It Epirus will be published here on our web site. Good luck Epirus!! !